First, this is one of the best MMOs ive ever played, I'd say second to WoW. As a middle aged professional who shouldnt be playing MMOs, the fact that I'm giving this game my time is testament that your development studio Bloodlust, did an outstanding job. That said the game is missing a ton of polish and was developed cutting a ton of corners that shouldnt have been, especially for a game where player movement is centric. I've got experience running game dev pipelines so I'm just throwing my feedback here, hopefully for NCSoft to read and care about, but more realistically; to other players to see how it resonates with them. Where's the Polish? Below is a list of issues that should(could) have been fixed within the first year of release. 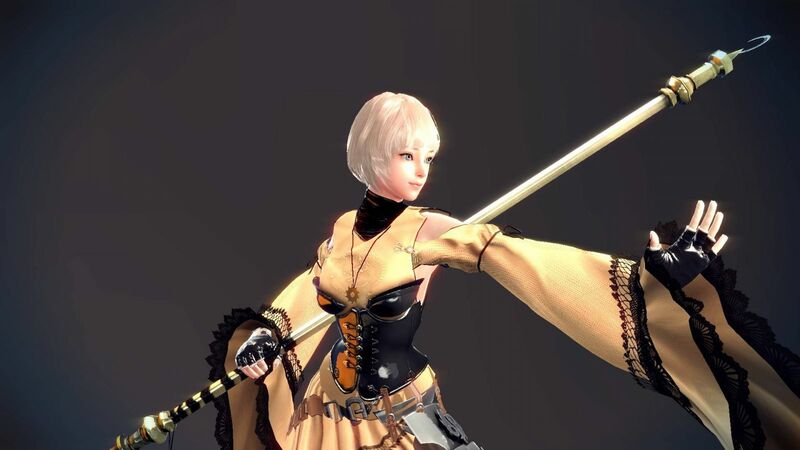 Since I am by no means a veteran of Blade And Soul there may be issues below that I was just unaware of a fix for, in that case please disregard. 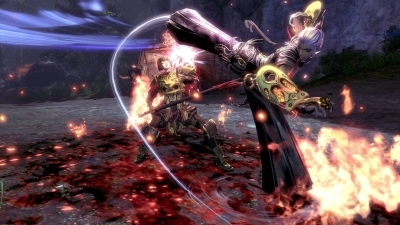 Clearly, Bloodlust was either held to an unrealistic deadline or specifically directed not to generate custom collision for 80% of their meshes and rather to let UDK auto-generate box collsion. This combined with your physics being poorly tuned not allowing slide-along really ruins the feel of this game until the player learns to stay away from EVERYTHING. It's the first thing I hear people complain about within the initial hour of play. NCSoft must have been aware of this, but in the interest of saving at most...50-100(LOL)k worth of a software/gameplay engineers time they've really blemished the user experience badly across the board. I'll say that it is a possible scenario, that your engineers so badly patch worked your physics system that in the end this was a side-effect that could not be remedied without a complete revamp. In that case I'll give you a pass but what a damn shame. Your greedy micro (if you want to call it that) transaction monetization strategy is so heavy handed it's nearly impossible for me to get WoW players to get on board. As soon as they see the cost to get basics (that the premium membership doesnt offer) like storage space, they'll have to pay hundreds of dollars over multiple characters, or the fact that they have to buy in with $20 to buy a month for $12; they're OUT. Extremely frustrating for me, and for your bottom line which could be a lot higher. I'll say that this is pretty par for the course for NCSoft, you're known for generating income through many poorly developed/supported games, quantity over quality, and do just enough work to create a revenue stream. 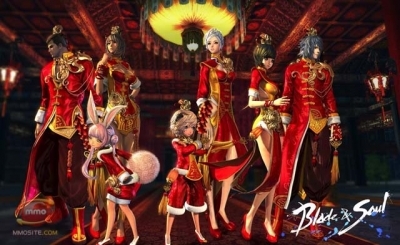 It's really sad for me in this case, Blade & Soul is something apart from the rest. After about the 20th time zooming your camera out after zoning, you start to get the feeling someone didn't care when producing this. When this game was pitched, the unique platforming and player controls were surely front and center. Attempting to jump to a massive leaf and falling through it or being forced to run around to a door to pass through a 15' high embankment, are two examples of extremely disappointing experiences that are common throughout your game. To join a dungeon, you've designed it to require a mandatory 3 asset load/purges each way. This is really bad design and even when supplemented with an SSD, puts your players through a ton of idle. Whispers are not game wide, this was absolutely shocking to me. That I cannot continue a conversation I was having outside the dungeon finder, inside it. This is completely inverse to the design philosophy Blizzard (someone you should really be borrowing more from) employs, where the lines of communication are open not only cross-realm but between entirely separate games. This is a no brainer and leaves me shaking my head even now. Not only are descriptions of skills cryptic and abbreviated. In more than one case they're completely wrong, citing the wrong name for a skill for example (probably a name from an alpha). At 80-120k annually, the person (yes this is a job for a single person working in conjunction with your designer/s) you'd need to do this properly from the start would have been cheap. This is nit picky but it's an absolutely picture perfect example of laziness. If a players chat field is set to whisper, zoning should not reset it. Again this could be a bug introduced in porting but due to the rest of the game it's easy for one to see it being in there from the start. These are only what I'd noted during my time playing from 1-45 my first time. If this game hadn't been released 4 years ago I'd not be writing this, but it was, and I am, because this game could be SO much more if it weren't so badly mismanaged. I'd love to see NCSoft become a serious name in the industry akin to Blizzard, instead of one known exclusively for their cash grabby, cheap, bastardization of the MMO genre. 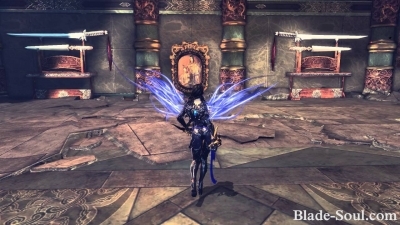 Again I'd like to express how impressed I am with the work from Bloodlust, I could write 10x this just on the things I loved about this game, but as many know, positive feedback is pretty much useless. Hopefully some of those devs get to move to a studio where their work is treated with the respect it deserves, I can only imagine the disappointment some of them feel with this product. The polish has not been applied because NCSoft doesn't think it's worth the investment. That's been their strategy for a long time, I'd say Wild Star was their first time straying from that and I don't think it paid off very well for them. This game is so so different than anything I've played or heard of MMOwise and it's so damn good, if they'd throw another 500,000 at it including some advertising it'd be a huge generator for them. Meanwhile Clash of Clans ads are playing on the TV. 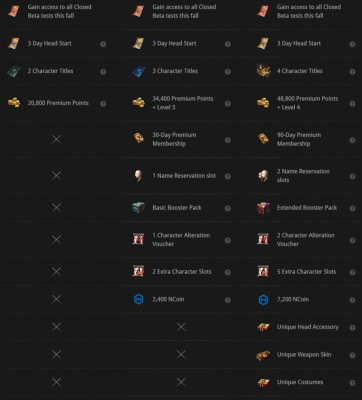 Premium Membership is essentially a subscription for benefits to an F2P game. You may be familiar with it in other MMORPG's like Age of Conan and the likes. Low AP and knowledge people sticking around just to be jerks and keeping doing things wrong... or anyone who just doesn't listen and can't teamwork worth a damn. If you join a clan and they wont help you, that means you should go look for a different clan.